Police are investigating the possibility of cross border criminals from West Yorkshire being responsible for the spate of recent burglaries in Harrogate. 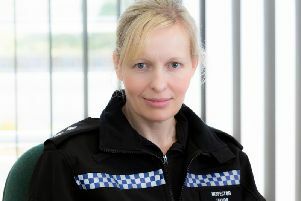 Officers warned last week that they were dealing with a surge of burglaries across the Harrogate district, with 91 homes broken into during the last six months. Superintendent Mike Walker explained that there had been an ‘extraordinary demand’ for police response and resources during the last six weeks . Police arrested one man on Friday morning on suspicion of burglary and Superintendent Walker said a lot of work was going into targeting the responsible individuals. He said: “This has been a spate of burglaries which has been much higher than we would have expected which is why we’re putting a lot of resources into the district. “This includes rural crime and nominals especially from West Yorkshire coming into Harrogate to target houses. “We are looking at a number of nominals and we believe some of the burglaries are linked and we will be targeting those nominals accordingly. We’re doing a lot of work to target those individuals. Superintendent Walker has also warned that many of the burglaries have been opportunistic, with criminals testing door handles and targeting insecure homes. Taking simple measures such as not leaving keys in the door or valuables on the kitchen table can help reduce the risk of being targeted or being the victim of a repeat attack. He said: “There is a risk of being a repeat victim, especially when burglars target homes and steal a lot of money. “Criminals think if it was easy getting into that home the first time then it will be easy the second time. “We’re not saying for everybody to get CCTV or to spend an absolute fortune on home security because there’s not that many people who can afford to do that.